Enjoy an autumn lunch with family or friends surrounded by the beautiful scenery of the vineyard, which is less than 30 minutes from Montreal. Discover the new fall menu designed to pair perfectly with the wines. Available every Sunday through October 28, 2018. Come out for an incredible eating experience at the Apple Shack’s Fall Harvest Festival! In a warm, rustic atmosphere, enjoy a quality gourmet menu showcasing Quebec’s terroir. It features duck leg confit glazed with honey from the farm, salmon & apple tartare, the étagé campagnard, the wonderful onion soup with a touch of maple―a house specialty. These are just a few of the products on offer. It’s a must-have culinary experience! Come and take in the early fall colours at Tyroparc! This mountain adventure park has become one of the Laurentians’ most popular tourist attractions thanks to its mega-ziplines. You are invited to experience a wide array of activities, including experiences like the mega-zipline, via ferrata, hiking and so much more! Come for an activity with your family, friends or on your own, and have fun with our passionate certified guides. For children 5 years old and above. Open year-round. Whether or not you already own an ATV/side-by-side vehicle, we can organize a 1- to 7-day getaway through beautiful wilderness areas. Every evening, we ensure that you enjoy comfortable accommodations and delicious meals. You will have the option of leaving in the morning with a snack or stopping to eat along the way. These outings can also be enhanced with days of fishing or hunting. It’s up to you! The F.U.N. Fest will continue until October 14 at Sommet Saint-Sauveur. 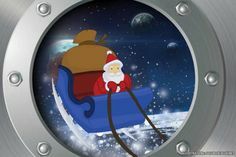 Every weekend, the mountain will be open to visitors. The chairlift will take them to the summit for colourful mountain hikes. Besides the rides, alpine rollercoaster, double zipline and mini golf, the F.U.N. Park will be hosting several activities sure to please families: farm animals, pony rides, a large maze, exotic animals and more. An opportunity to combine history with hiking or cycling! Take the Calvaire d’Oka trail. This Way of the Cross was built by the Sulpicians. The Calvaire trail leads to a panoramic viewpoint where three chapels have been keeping watch since 1742. Discover this magnificent trail with a guide booklet available at the departure point. In addition, through a pilot project in Oka National Park, dogs on a leash are permitted on this 4.4 km trail. The Parc du Domaine Vert is an intermunicipal, outdoor activity-oriented woodland park in an urban area. Many activities are offered, including hiking, cycling and an obstacle course for children. At the Parc régional éducatif Bois de Belle-Rivière, 17 km of hiking trails and 7 km of bike trails are available for outdoor enthusiasts. Distances of 1 to 21 km are available for athletes, combined with a gourmet lunch provided by local farmers. On Monday, October 8, Courses Gourmandes will pay a visit to the Parc régional éducatif Bois de Belle-Rivière. Dogs on a leash are admitted. The Parc de la Coulee in Prévost offers multi-use trails for hiking and biking. There are several park entrances. The main entrance is located on Du Clos-Toumalin Street, opposite Champ-Fleuri School. Over 30 km of easy to intermediate trails are available. In addition, dogs on a leash are allowed. Admission is free. The Centre de plein air Roger-Cabana offers over 10 km of trails for hiking, trail running and even mountain biking. Culture enthusiasts will also find what they are looking for as they make wonderful discoveries along the Art-Nature trail. An obstacle course, made up of twelve stations to go through one after the other, is also available for young adventurers. The Parc régional de la Rivière-du-Nord awaits you on September 29 for the second Kwei Kwei Aboriginal Celebration. Many activities are planned to introduce you to traditional Amerindian culture, such as opening prayers, purification ceremonies, a gathering of dancers, a kiosk serving traditional food, and a storyteller recounting legends. This fall activity combines outdoor and cultural activities. Over 25 km of trails are available for hiking. Other points of interest include the Wilson River and Falls. Please note that the obstacle course is closed when it rains. Open every day from 8:00 a.m. to 5:00 p.m. until October 28, the Parc régional de la rivière Doncaster welcomes you to its trails for family walks with your canine companion on a leash. A 2-km trail along the river is accessible to mobility-impaired persons as well as children in strollers. On the edge of the Aerobic Corridor Park, the La Montfortaine hiking trail network offers several intermediate trails ranging from 1.8 to 2.5 km. Admission is free and dogs are allowed. Par Monts et Vals is a 65-km hiking trail connecting the village cores of the municipalities of Ivry-sur-le-Lac, Lantier, Sainte-Agathe-des-Monts, Sainte-Lucie-des-Laurentides, Val-David, Val-des-Lacs and Val-Morin. While exploring the Par Monts et Vals trail, you will experience mountain summits, marshes, hundred-year-old trees, lakes, beaver dams, rock formations and many other natural attractions. Visit the website before you go. Admission is free, and dogs are allowed. As usual, the CTEL will present its Coul-Couleurs Festival to bring the season to a close. This year, the festivities will take place on Saturdays and Sundays until October 8, 2018. Activities include a group hiking tour in the forest, treasure hunts, “do-it-yourself” workshops, “spin the wheel”, and the popular free Rabaska canoe outing offered every Saturday at 1:30 p.m. (by reservation). People and dogs are welcome. In addition to the many activities available at the Parc national du Mont-Tremblant, such as hiking, cycling and the via ferrata, every Saturday and Sunday through October 7, educational nature activities will be held with park rangers. At the discovery centre from 11:00 a.m. to 1:00 p.m., and on the De la Roche trail from 2:00 p.m. to 4:00 p.m., you will be able to converse with specialists about the park’s wildlife, plants and natural treasures. They will take this opportunity to share their favourite park activities with you. 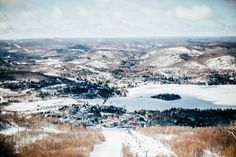 Over 29 km of trails allow you to recharge in the wilderness at this must-visit park in Mont-Tremblant. For the most experienced hikers, mountain tours are available on Mount Onontio and Mount Saint-Bernard, with well-marked trails. For bird watchers, several on-site nesting boxes allow you to observe a wide variety of birds, such as blue jays, nuthatches, buntings and bluebirds. Over 60 species have been identified! In an enchanting location in the heart of the Laurentians, Camping Sainte-Agathe-des-Monts offers you a deeply relaxing natural experience. Come and enjoy a long walk in the woods at the Centre de plein air. Over 30 km of hiking trails are available for enthusiasts of all levels and provide access to two lookouts. Dogs are not permitted. In addition to enjoying 30 km of trails, Mount Kaaïkop and autumnal nature, adults are invited to celebrate Halloween on October 26 and 27, 2018. Accommodations are available on site. In addition, an evening with chansonniers on Friday, and a community dinner and costume party for Halloween on Saturday evening have been organized. There are many lodging options: camping, inns or forest lodges. For the great enjoyment of hiking enthusiasts, the trails are accessible for hiking in summer and fall. The topography offers numerous viewpoints. Whether you are rambling over the various peaks or taking a break to enjoy the magnificence of the surrounding lakes, the park offers you remarkable natural beauty in every season. Over 60 kilometres of marked trails form loops ranging from easy to difficult. The Parc régional Montagne du Diable offers an 80 km hiking trail network for the most beautiful hikes. 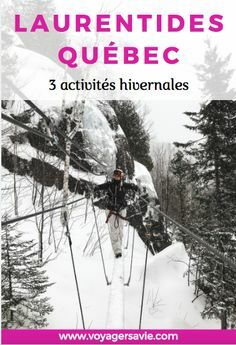 These trails are certified by the Fédération Québécoise de la Marche. In short, you can have hours upon hours of fun in the heart of a protected forest. Plan a hiking trip with overnight stays in a hut and/or at a rustic campground. Dogs on a leash are allowed. 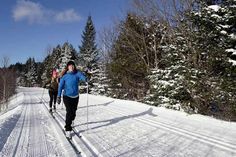 You can choose your way of relaxing in the Laurentians! Take a well-deserved break in a setting with the most beautiful havens of relaxation. Fall landscapes sublimely reveal themselves at Laurentian spas. You will find these little paradises throughout the region, whether you are out in the wilderness or at a charming inn or well-known hotel. Several nordic spas have set up their facilities in the majestic scenery of the Laurentians, or in the region’s inns and hotels. In addition to cozy accommodations, restaurant services with local flavours and a personalized welcome, many establishments offer massages and treatments conducive to rest and well-being. Explore the Laurentians with us! Your getaway is a great chance to stay at the region’s inns, hotels and resorts. For more information, contact us at 1 800 561-6673.